Description: Unprinted 15mm ribbon lanyard with metal bulldog clip. Packaging: Polybag. Colour: Royal Blue. Product Size: Clip: 50mm(l) - Lanyard: 42cm(l) x 15mm(w). Decoration: Screen Print. Decoration Area: Screen: 300mm(w) x 10mm(h). Description: Unprinted 15mm ribbon lanyard with metal bulldog clip. Packaging: Polybag. Colour: Green. Product Size: Clip: 50mm(l) - Lanyard: 42cm(l) x 15mm(w). Decoration: Screen Print. Decoration Area: Screen: 300mm(w) x 10mm(h). Description: Unprinted 15mm ribbon lanyard with metal bulldog clip. Packaging: Polybag. Colour: Navy. Product Size: Clip: 50mm(l) - Lanyard: 42cm(l) x 15mm(w). Decoration: Screen Print. Decoration Area: Screen: 300mm(w) x 10mm(h). Description: Unprinted 15mm ribbon lanyard with metal bulldog clip. Packaging: Polybag. Colour: Black. Product Size: Clip: 50mm(l) - Lanyard: 42cm(l) x 15mm(w). Decoration: Screen Print. Decoration Area: Screen: 300mm(w) x 10mm(h). Description: Unprinted 15mm ribbon lanyard with metal bulldog clip. Packaging: Polybag. Colour: white. Product Size: Clip: 50mm(l) - Lanyard: 42cm(l) x 15mm(w). Decoration: Screen Print. Decoration Area: Screen: 300mm(w) x 10mm(h). 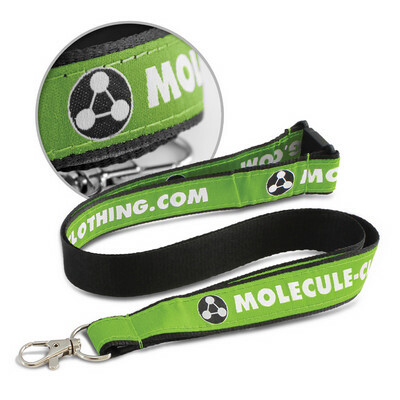 16mm wide lanyard with a retractable ID holder and a safety clip. 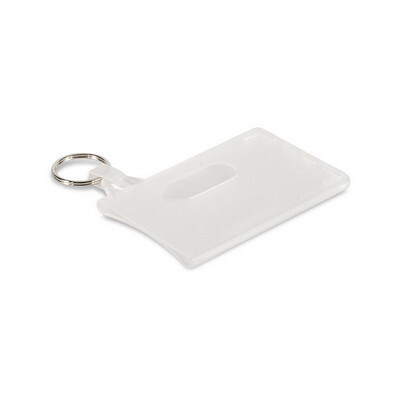 The ID holder can be branded with a resin coated finish but branding on the lanyard is only available on indent. Colours: White, Blue, Black. Dimension: W 31 mm x L 525mm. Print Description: 20mm circle plus bleed if required. Print Type: Resin Coated Finish. Packing: Loose packed. 20mm wide polyester lanyard complete with a metal clip and a breakaway safety clip. Can be printed in one colour on one side. Colours: Grey, White, Yellow, Orange, Pink, Red, Bright Green, Dark Green, Light Blue, Dark Blue, Purple, Black. Dimension: W 20mm x L 490mm. Print Description: 250mm x 12mm (one colour). Print Type: Screen Print. Packing: Loose packed. Branding prices include printing on 1 side on the lanyard. 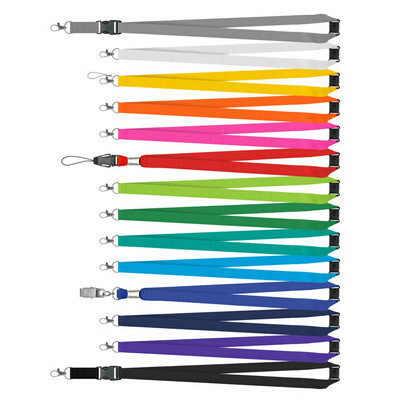 Design your own woven polyester lanyard from 12 standard colours and seven optional attachments. Provided with a metal clip and a safety breakaway clip as standard, simply choose from the optional extras to match your configuration needs. Plastic card holders can be supplied separately or already attached to save assembly time. A lead time of 15 working days applies to this product. Colours: Silver, White, Yellow, Orange, Pink, Red, Bright Green, Dark Green, Light Blue, Dark Blue, Purple, Black. Special PMS colours are available for a minimum of 1000pcs. Dimension: W 24mm x L 450mm. 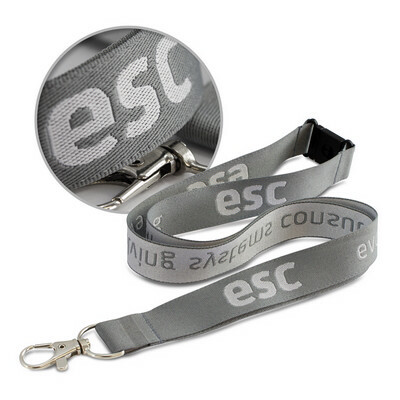 Print Description: Logo repeats along the full length of the lanyard material. Print Type: Screen Print. Packing: Loose packed. Less than minimum quantities are not available for this item. 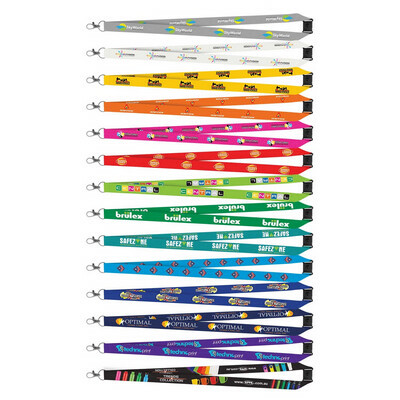 Very versatile polyester lanyard with full colour printing on both sides at no extra cost. It offers both single clip and double clip options and a safety breakaway clip and can be customized as required with seven optional attachments. A lead time of 15 working days applies to this product. Colours: White. Dimension: W 20mm x L 490mm. Print Description: Please refer to template. Print Type: Sublimation Print. Packing: Loose packed. Less than minimum quantities are not available for this item. Affordably priced lanyard with a detachable loop which will hold a wide range of items. Branding is not available. Colours: Silver, White, Yellow, Orange, Pink, Red, Bright Green, Dark Green, Light Blue, Dark Blue, Purple, Black. Dimension: W 7mm x L 450mm. Print Description: Print Type: Unprinted. Packing: Loose packed. Printing is not available. Durable plastic card holder with a convenient key ring which will hold two cards. Features a thumb slot on the back so the cards can be easily removed. It is ideal for credit cards, ID cards, fuel cards, membership cards etc. Colours: Frosted Clear. Dimension: L 93mm x W 70mm x 6mm (Dia 25 mm key ring). Print Description: Front - 55mm x 22mm. Print Type: Pad Print. Packing: Loose packed. 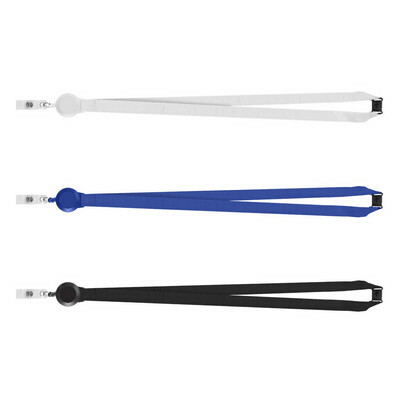 Multi attachment lanyard with a safety clip and plastic slider which can be branded. Has two release clips and a loop attachment. A lead time of 10-15 working days applies to this product. Colours: White, Pink, Red, Green, Blue, Black. Dimension: L 394mm. Print Description: 32mm x 9.5mm (two colour max). Print Type: Pad Print. Packing: Loose packed. Less than minimum quantities are not available for this item. MOQ applies per colour on this item. Polyester lanyard complete with a spring loaded metal clip, a safety clip and a unique plastic insert which can be branded with a full colour resin coated finish. 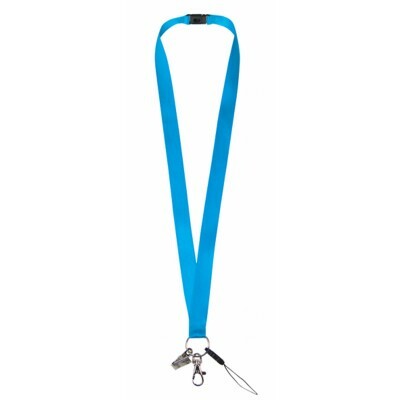 The lanyard itself can also be branded and a lead time of 15 working days applies to this product. Colours: White, Yellow, Orange, Pink, Red, Bright Green, Dark Green, Light Blue, Dark Blue, Purple, Black. Dimension: W 20mm x L 490mm. Print Description: Dia 26mm (plus bleed if required). Print Type: Resin Coated Finish. Packing: Loose packed. Less than minimum quantities are not available for this item. MOQ applies per colour on this item. Premium 20mm lanyard with the choice of our standard attachments which has the logo woven into the fabric in one colour. Both the lanyard and the woven logo can be produced in most PMS colours and a lead time of 20 working days applies to this product. Colours: Can be produced in almost any colour. Dimension: L 490mm x W 20mm. Print Description: L 780mm x W 15mm. Print Type: Weave. Packing: Loose packed. Less than minimum quantities are not available for this item. Premium 20mm lanyard with the choice of our standard attachments. It features the logo woven into a fabric strip in up to two PMS colours and then sewed on to a polyester backing. The fabric strip, the woven logo and the polyester backing can all be produced in most PMS colours. A lead time of 15 working days applies to this product. Colours: Can be produced in almost any colour. Dimension: W 20mm x L 490mm. Print Description: L 820mm x W 10mm. Print Type: Weave. Packing: Loose packed. Less than minimum quantities are not available for this item. 20mm wide flat nylon with multiple attachments and safety break at neck. Colour: Aqua. Decoration Option: Screen Print. Decoration Area: 305 x 15mm. Design your own woven polyester lanyard from 12 standard colours and seven optional attachments. Provided with a metal clip and a safety breakaway clip as standard, simply choose from the optional extras to match your configuration needs. Plastic card holders can be supplied separately or already attached to save assembly time. A lead time of 15 working days applies to this product. Colours: Silver, White, Yellow, Orange, Pink, Red, Bright Green, Dark Green, Light Blue, Dark Blue, Purple, Black. Special PMS colours are available for a minimum of 1000pcs. Dimension: W 20mm x L 450mm. 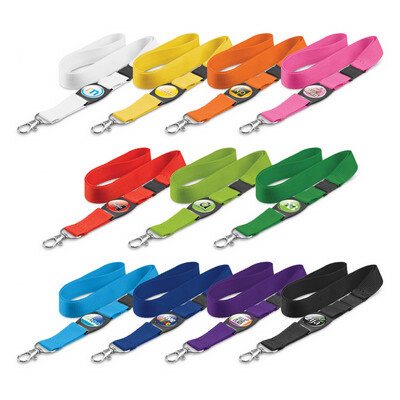 Print Description: Logo repeats along the full length of the lanyard material. Print Type: Screen Print. Packing: Loose packed. Less than minimum quantities are not available for this item. Unique lanyard which has two colour twists running through the cord. It is supplied with a safety clip and a slider which is branded with a full colour resin coated finish. Each of the colour twists can be matched to different PMS colours for a minimum of 1000pcs and a lead time of 25 working days applies to this option. Colours: White/Red, White/Blue, White/Black. Dimension: Dia 5mm x L 490mm. Print Description: 26.4mm circle (plus bleed if required). Print Type: Resin Coated Finish. Packing: Loose packed. Description: Badge holder with retractable cord a great way to secure your security pass. Features: Length of retractable string 600mm, Available in two colours. Packaging: Polybag. Colour: White. Material: Plastic. Product Size : 32mm(diam) x 85mm(l). Decoration: Pad Print. Decoration Area: Pad: 16mm(w) x 16mm(h). Description: Badge with retractable cord which extends out to 610mm a great way to secure your security pass. Features: Made from plastic with metal clip, Badge size 31mm in diameter, Available in three colours. Packaging: Polybag. Colour: Black. Material: Plastic. Product Size : 31mm(diam) x 610mm Retractable cord. Decoration: Pad Print. Decoration Area: Pad: 16mm (diam). Description: Badge with retractable cord which extends out to 610mm a great way to secure your security pass. Features: Made from plastic with metal clip, Badge size 31mm in diameter, Available in three colours. Packaging: Polybag. Colour: Silver. Material: Plastic. Product Size : 31mm(diam) x 610mm Retractable cord. Decoration: Pad Print. Decoration Area: Pad: 16mm (diam). Description: Unprinted 15mm ribbon lanyard with metal bulldog clip. Packaging: Polybag. Colour: Red. Product Size: Clip: 50mm(l) - Lanyard: 42cm(l) x 15mm(w). Decoration: Screen Print. Decoration Area: Screen: 300mm(w) x 10mm(h). 20mm wide flat nylon with multiple attachments and safety break at neck. Colour: Green. Decoration Option: Screen Print. Decoration Area: 313 x 15mm. 20mm wide flat nylon with multiple attachments and safety break at neck. Colour: Pink. Decoration Option: Screen Print. Decoration Area: 314 x 15mm. Low cost clear identification holder which is manufactured from flexible PVC which fits any lanyard and holds a 100mm x 70mm insert card. The optional insert card is available on request and can be printed on both sides. Colours: Clear. Dimension: W 106mm x L 100mm. Print Description: Insert Card - 102mm x 72mm (plus bleed if required). Print Type: Digital Print. Packing: Loose packed. 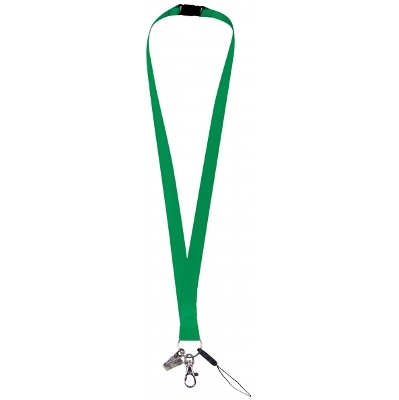 12mm wide lanyard complete with a metal clip and a safety clip which is supplied unbranded. Colours: White, Yellow, Orange, Red, Green, Blue, Black. Dimension: W 12mm x L 490mm. Print Description: Print Type: Unprinted. Packing: Loose packed. Printing is not available. Description: The office companion. Badge holder with metal carabineer hook and retractable cord. Features: Pull reel with 24'' nylon cord and vinyl strap, Available in two colours. Packaging: Polybag. Colour: Blue. Material: Plastic with metal clip and nylon cord & vinyl strap. Decoration: Pad Print. Decoration Area: Pad: 16mm (diam). Description: The office companion. Badge holder with metal carabineer hook and retractable cord. Features: Pull reel with 24'' nylon cord and vinyl strap, Available in two colours. Packaging: Polybag. Colour: Transparent. Material: Plastic with metal clip and nylon cord & vinyl strap. Decoration: Pad Print. Decoration Area: Pad: 16mm (diam). Description: Badge holder with retractable cord a great way to secure your security pass. Features: Length of retractable string 600mm, Available in two colours. Packaging: Polybag. Colour: Black. Material: Plastic. Product Size : 32mm(diam) x 85mm(l). Decoration: Pad Print. Decoration Area: Pad: 16mm(w) x 16mm(h). Description: Badge with retractable cord which extends out to 610mm a great way to secure your security pass. Features: Made from plastic with metal clip, Badge size 31mm in diameter, Available in three colours. Packaging: Polybag. Colour: White. Material: Plastic. Product Size : 31mm(diam) x 610mm Retractable cord. Decoration: Pad Print. Decoration Area: Pad: 16mm (diam).